One minute you’re packing the bag for their first day of school and the next they’ve clocked up one hundred days! 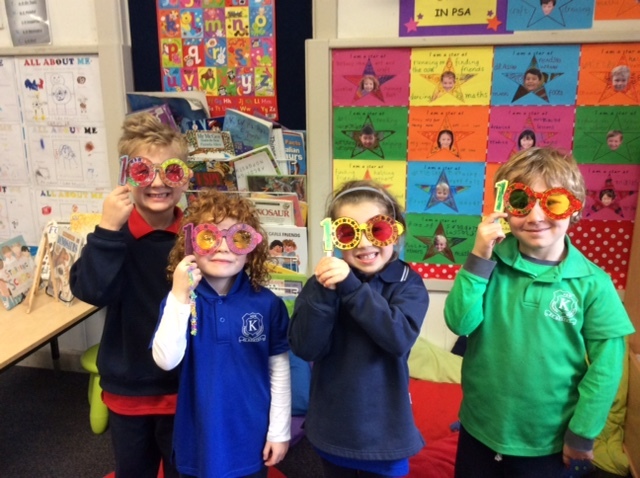 Prep teacher, Sophie Apperly, shares the 100 Days of Prep celebration. 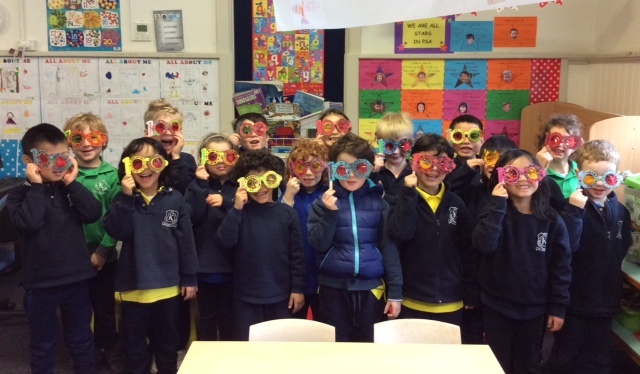 On the 28th July, the Preps celebrated 100 days of school with a number of fun craft and maths activities – focusing on the number 100, of course! The Preps all had much to be proud of and much to celebrate on this very special day. It was wonderful to recognise their first 100 days of friendship, fun, adventure, learning and achievement. If a Prep tosses a coin 100 times, what are the chances of it landing as a heads or landing as a tails? A few of our six-year-old mathematicians determined that the chances were 50/50 or there was a 50% chance of heads or a 50% chance of tails. The classrooms were buzzing with some energetic coin tossing and recording of heads and tails. What is 100 made of? 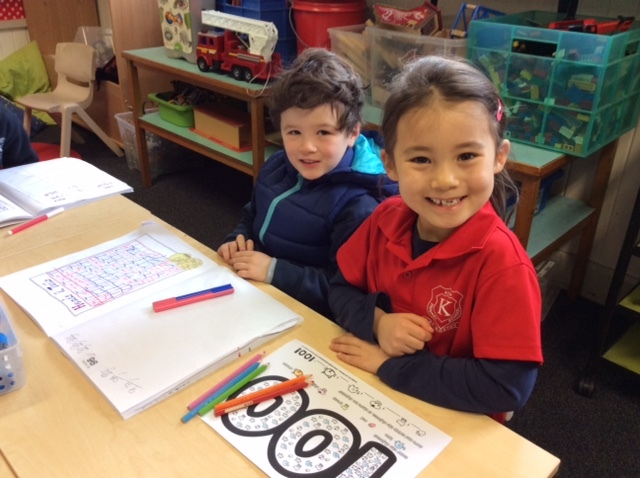 Some of the Preps hunted for objects in a giant 100 and found out what made up a 100 in elephants, strawberries, frogs, cupcakes and cats. What will the Preps do next? 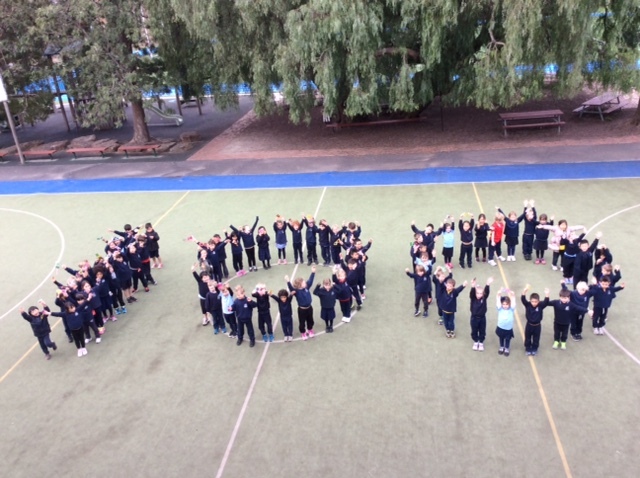 We are all very proud of the Preps achievements in their first 100 days of school. We look forward to seeing what they will do next and what they will achieve in the future! This entry was posted in Students and tagged Prep by Kate W. Bookmark the permalink.